Dear visitors, are you looking for a cheap accommodation in Pec pod Sněžkou with excellent Czech home cuisine, a friendly approach and cosy atmosphere? You have just found it. 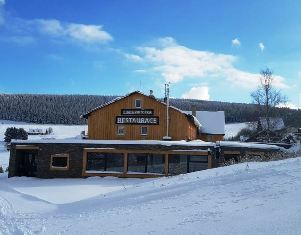 Thelocation of Viktorka Cottage is ideal for skiing, snowboarding, biking, hiking and relaxation with views of Sněžka. We will be pleased to welcome guests of any age, even with their pets,at our family guesthouse. Parents, and particularly children, will certainly appreciate children’s play corner, and in summer also children’s playground, a trampoline and sandpit. 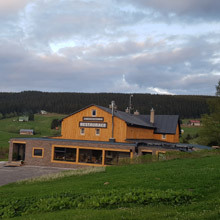 All guests will enjoy the untouched landscape we are surrounded by, the panorama of Sněžka and Studniční hora (Modrý and Obří důl, and Krakonošova zahrádka), and the beauty of the surroundings everywhere around.